I’ve always found it a little amusing that the Disney Esmeralda is a more of a “Strong independent Woman” which is something I don’t really like about the movie. I can’t stand it when studios try to make a strong female character and try too hard and fail. If you think about it the Esmeralda of the novel was far more of the archetypal Disney princess what with the innocence and what not. I never was into Disney films much as a kid,but I’ve seen plenty over the years. Call me crazy, but I always despised The Lion King and I find Hercules to be a clunky, dull mess. I found an article which states that up until 2005 Esmeralda was a Disney Princess. It’s sort of hard to read because of the background though. In the early 2000’s before Disney really started marketing the Princess line, Esmeralda and Meg were included. My guess is Disney didn’t market them well and due to that many people shrugged off the little known characters and opted for the more well known characters. 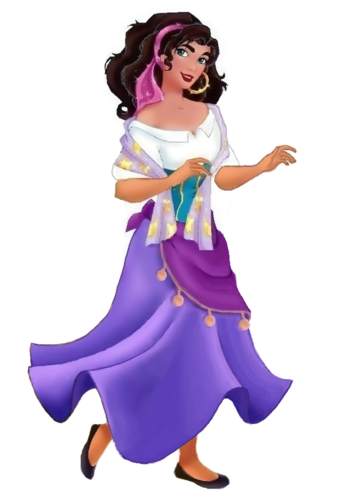 When I was a kid…Esmeralda and Meg were my favorite Disney heroines. I was never the princess type. I was sort of a tomboy, read a lot and didn’t have a ton of friends. I HATED the color pink. 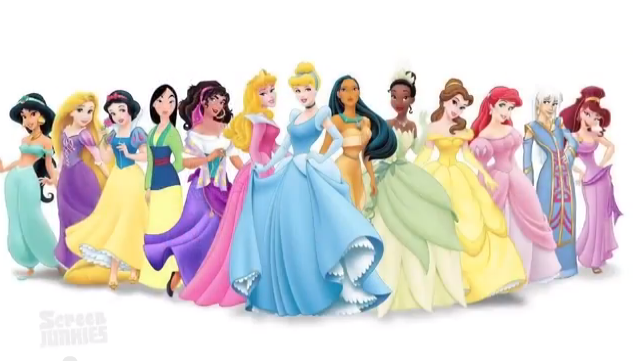 I don’t see why Disney won’t market the unconventional heroines and princesses to girls and give girls another option. I would consider Esmeralda and Meg to be more “hipster” and maybe Disney needs to find a way to take the marketing in that direction. That or market these characters to grown folks who maybe grew up watching Hercules, HOND, Atlantis. Us grown folk nerds need stuff too.